1. The ability to make custom buildings for mods and stuff. 2. Aircraft. Aircraft would be like the ground army but can only be trained in provinces with an airbase. To attack with aircraft you could go into into a special 'Aircraft' map view. Aircraft can move 2 or 3 provinces at a time and can move through your territory, nations which you have military access to's territory and enemy territory. When over enemy territory there will be two buttons which will be kind of like the 'plunder' button for ground troops. One will commence a bombing raid which destroys population and economy and the other, close air support, kills troops. A random percentage of aircraft get 'shot down' after each turn the bombing or close air support happens. 3. Capitulation. When a country loses a percentage of its provinces, every turn after that there should be a random chance of the country capitulating and surrendering. 4. More types of resources. How Do I Implement My Own Custom Buildings Into The Game??? To jest historia alternatywna gdzie polacy wygrywają powstanie Warszawskie za pomocą odziałów partyzanckich z całego kraju a alianci ruszyli na berlin i niemcy musieli odesłać jedną ze swoich armi z warszawy. Po zdobyciu warszawy polacy ogłosili swój rząd warszawie po kilku dniach polacy zdobyli okecie po tygodniu amerykańskie transportowce z amerykańskimi zołnierzami. Miesiąc później ruszyła ofensywa na gdańsk i przybył rząd polski w londynie. W tym czasie chinczycy zjednoczyli się żeby pokonać japonie. Zamach na Mao Zedong który umiera a tereny CHRL zostają przyłąnczone do Chin. Berlin zostaje zdobyty przez wojska amerykańsko angielskie i polskie. Stalin krytykuje rząd polski w Warszawie tym czasie tworzy się polska wschodnia rządzona przez gomułke w stoliy w lublinie. Po pokonaniu Japonii odbył się zjazdy w warszawie gdzie uzgodniono że polska będzie podzielone na wschodnią i zachodną. And finally,there are some places,like North America,Australia and Siberia,with tribal civilizations,so their territory can be a bit differeny of reality. But I can give you some pictures of the map.If you see one error,please tell me in comments and I will try to fix it. Post in Can we kick someone out of a union? If you want to keep the land, then change your government and back, the name & flag will change back to Ukraine, if not, do the same process but with releasing belarus as a vassal, optionally, you liberate them aswell. This scenario starts on 19th April 1775 date of start of the American Revolution. The Thirteen Colonies are currently at war aganist the British Empire. 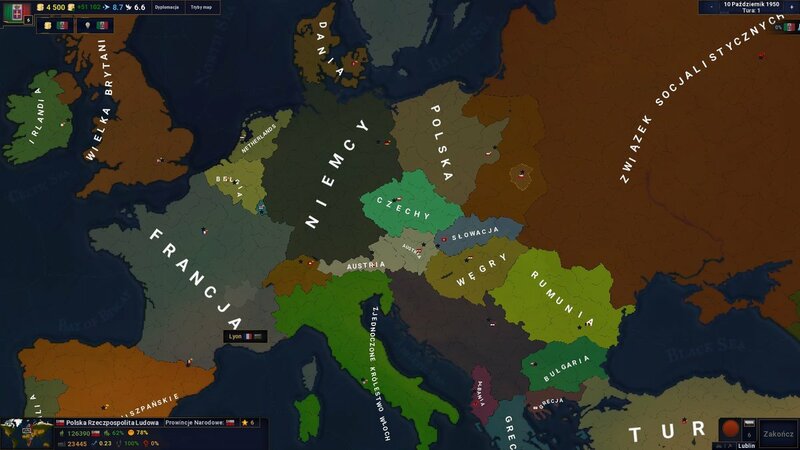 If you choose to play with the Thirteen Colonies you will have the support of France and Netherlands (and Spain but they are not at war with UK because it will be too easy to win the scenario with a world superpower support).Meanwhile if you choose to play with UK you will play with the support only of a small German country, Hesse. I already looked at all the tutorials and all the topics Lukas made to help with explaining the Map Editor, and watched all the videos I could find, but nothing works. What I want is someone to make a video or doc file explaining in full and as much detail as possible to how the Map Editor works, and how to edit the exiting vanilla map, as well as to how to create, from scratch, an entirely new map. A tutorial that will leave the least amount of questions as possible. I already have the Map Editor. Where do I go from here? Age of Civilizations doesn't work! I can't play in AoC II. Instead of loading, the game goes back to steam. I've tried to uninstall the game. Did'n help! SOCIETY! ...Coming soon to a dank river valley near you. 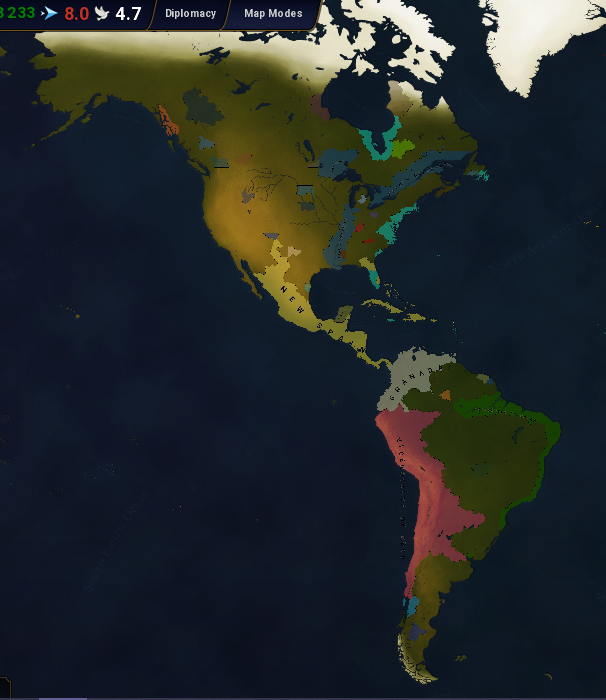 An option that allows tribal civilizations to spawn randomly on the map, with higher chance of appearing in high growth provinces. This is my Scenario, Europe in 1989. 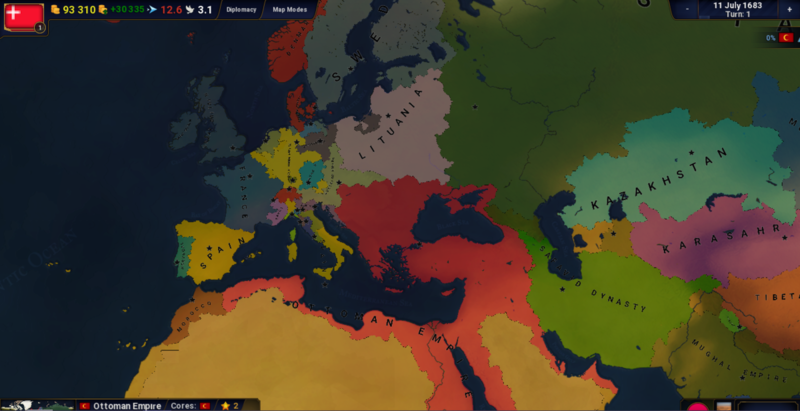 I have made events all the way up to 1993 currently, my plans are to have at least a Europe starting in 1989 with events that lead up to a decently accurate modern day scenario, so you can practically watch it in spectator mode like one of those History of Europe - every year videos with little to no interference. 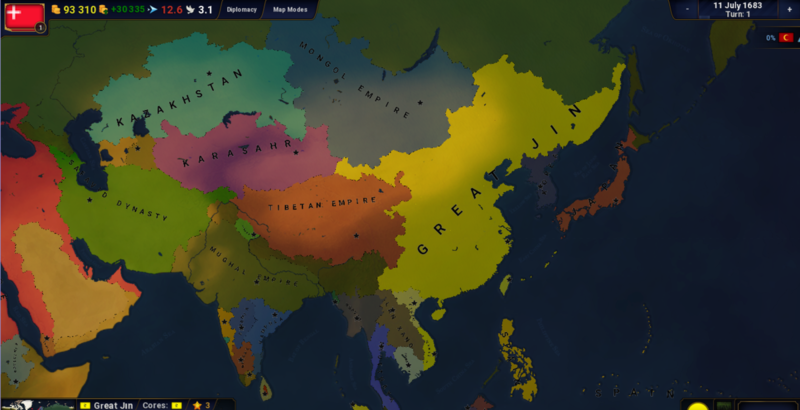 How I do this is make an event to create a large non - aggression pact, so the AI doesn't go crazy and make horrifying border gore. My main goal here is to make the most historically accurate events possible. So if you find any errors, or have any suggestions, PLEASE tell me! In some ways, this can be considered a little less player friendly as not all but a few events may be forced upon you.